We want to see your creativity! 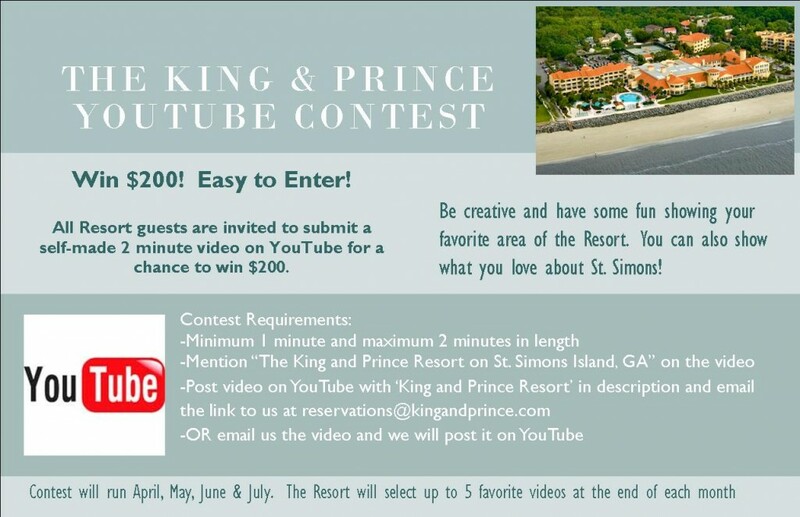 The King and Prince has a new contest….it’s easy, it’s fun, and something the whole family can participate in! Submit a two minute video on YouTube of your stay at The King and Prince highlighting your favorite part of the resort. If your YouTube video is selected as a favorite, you will win $200! The video contest is running through the summer months and up to 5 videos will be selected at the end of each month. The video must be at least one minute and no longer than two minutes. Post video on YouTube and email the link to us at reservations@kingandprince.com or email us the video and we will post it on YouTube. 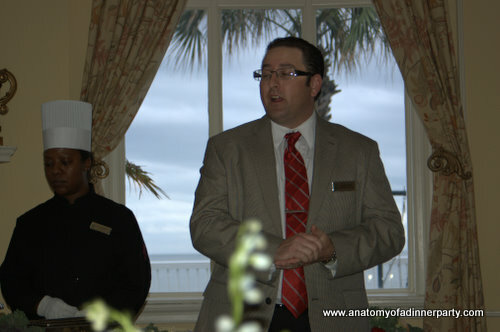 For more videos about The King and Prince and St. Simons Island, visit our YouTube channel! Memorial Day Weekend is here and we are gearing up for summer at The King and Prince Resort! Our guests love relaxing at our resort pool area and enjoying tasty treats from the (Sea Shack Bar & Bites) Paradise Beach Bar and Grill. However, sitting in the sun all day can be a bit much. This is why we have made an addition to our pool area to help guests escape the sun, while still enjoying the gorgeous views and ocean breezes. Numerous sun umbrellas can now be found throughout the pool area. We know our guests will love this addition and enjoy having a little relief from the hot Georiga sun! Since you won’t be able to greet all your guests personally upon arrival, a welcome bag (or peach basket on St. Simons Island, GEORGIA) is a great way to touch base with them right away. Here are a few suggestions on what to include. (1) A Welcome Letter. Tell your guests how happy you are that they’ve made the trip with a short and sweet note. For simplicity’s sake, use your computer to type and print the letters, but sign each on in ink for a personal touch. (2) A Detailed Schedule. List all of the weekend’s events, including any optional ones. Be sure to mention any extra costs for activities such as tours, lessons, sports activities, and so on. (3) Key Contact Information. 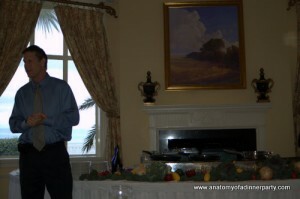 Tell your guests how to reach the people you’ve designated as go-to contacts. Don’t include your contact info — most people won’t feel comfortable bothering you, and you’ll have enough on your mind already. (4) Map of the Area. The resort and the island have a lot to offer. Make sure your guests make the most of their trip. (5) Info on Local Transportation. The trolley schedule and the phone numbers of local taxi companies will help your guests get around when they’re on their own. (6) List of Local Restaurants. Include restaurant descriptions, locations, phone numbers, and price info along with a selection of menus from places that deliver. (7) Local Entertainment Guide. Pick up the latest copy of Elegant Island Living and High Tide Guide for guests to be in the know. (8) Thematic Snacks. A taste of locally made food and drink will introduce your guests to the destination’s delicacies and help them avoid raiding the minibar. Try to include both savory and sweet things to satisfy different cravings. And since your guests are on vacation too, it’s nice to greet them with a celebratory drink — a bottle of wine or a beautifully labeled bottle of lemonade. 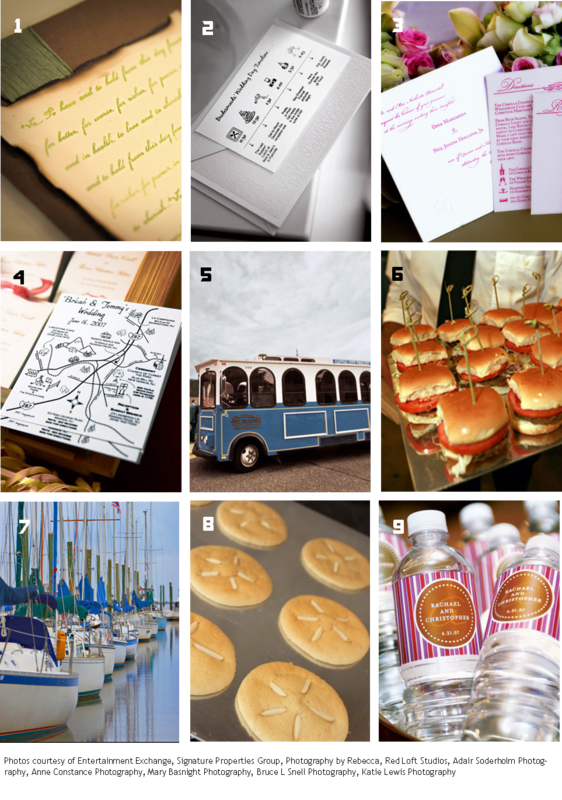 (9) Destination Essentials. Anticipate little things your guests will appreciate having at the King and Prince: sunscreen and a pair of flip-flops or a visor at the beach; a sweet-smelling bug repellent for the golf course; a token to pay putt-putt down at The Pier. And no matter where you are, disposable cameras and bottled water are always welcome. The Humane Society of South Coastal Georgia in partnership with Elegant Island Living is holding its first annual Fore The Animals Golf Tournament. It will take place on Saturday May 21st at The King and Prince Golf Course at 9 AM. The event supports the Humane Society of South Coastal Georgia. Below is the press release for the event from American Chronicle. By The Brunswick News, Ga.
May 18–The Humane Society of South Coastal Georgia is hosting the Fore the Animals charity golf tournament Saturday at the King and Prince Golf Club, Home of the Hampton Club. The event is a scramble format with a 9 a.m. shotgun start. Cost is $125 per player or $500 per team and includes breakfast, lunch, practice balls and green fees. Raffle tickets and mulligans will be available the day of the tournament. All proceeds benefit the Humane Society of South Coastal Georgia, a 100 percent donor-funded, no-kill adoption center. For more information or to register, call 912-222-8225. 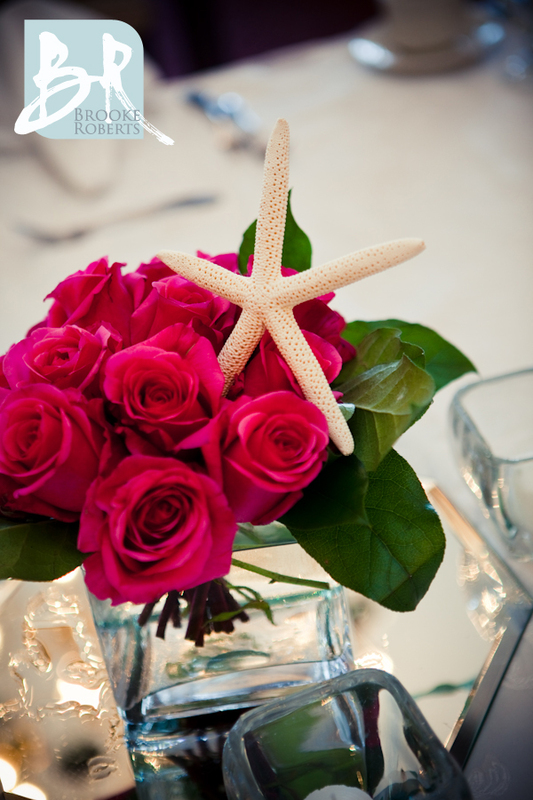 As this classic bride demonstrated perfectly with her beautiful centerpieces, you can acheive a beach wedding theme without sand and flip flops! 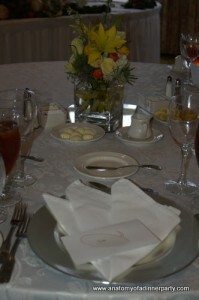 Inserting a lone shell into your floral centerpiece is a fantastic idea and a great way to go coastal. 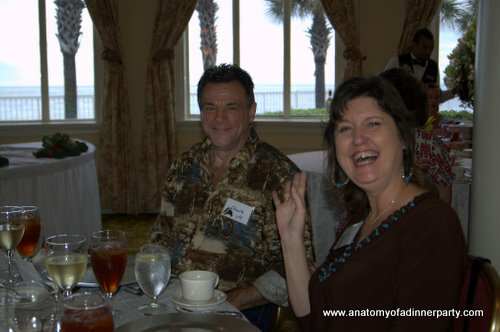 Patti Davis blogs about her travels to St. Simons Island in 4 parts on Anatomy of a Dinner Party. She has numerous pictures and wonderful descriptons. Here is part 1. Arriving after the five hour drive from Atlanta, I entered the lobby of The King and Prince Beach & Golf Resort to the heady aroma of chlorine. Now that might sound funny to some, but to me that is the smell of childhood, of a spa, of…..an indoor pool right in the lobby! (Resort note: The indoor pool was removed during the 2013-14 renovations) Just one of four pools the resort boasts. Can’t you just smell these fresh Georgia shrimp sizzling? Sheila Gaspers writes a second article about her St. Simons trip on her blog, Tango Diva. 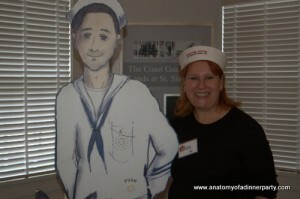 She writes about local eateries and activities on the island. 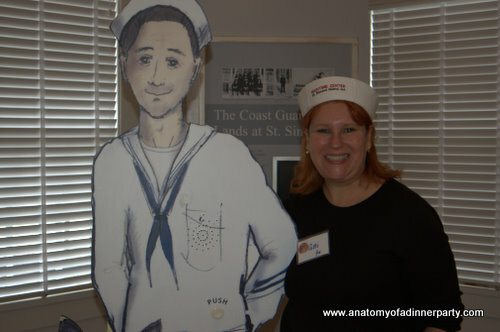 My love affair with St. Simons Island, Georgia is renewed with each visit. Living the island life is about exploration & experimentation. Sandcastle Cafe & Grill – Local DIVE Extraordinaire for over 20 + years! You have hit the mother lode when you have opted for the breakfast buffet. 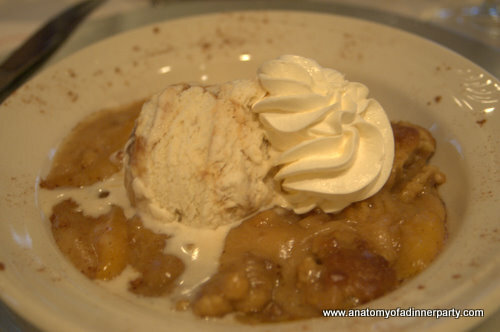 I found myself drowning in ecstasy over a plate of biscuits and gravy…no easy task for a northern gal. Owners, Tim and Melissa Wellford take pride in serving up a hearty and wholesome meal for under $10. Palmer’s Village Cafe – a hip newcomer to the Island Dining Scene. Chef John Belechak, hailing from Tennessee’s jewel – The Inn at Blackberry Farm, brings his prestigious culinary experience and love of innovation to his new special seaside kitchen. 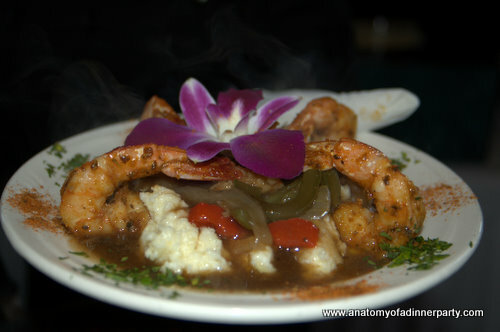 Customers are treated to unique flavor combinations with every dish. Oversized whimsical and colorful paintings by island artist, Cathie Parmelee, brighten the walls and frame the open kitchen giving the eatery its artsy bistro ambience. The cafe is a hometown hit. You know it’s good when the locals are lining up on Mallery Street with visitors to partake in Palmer’s signature plates. The Hooch, a spicy cheese omelet dressed with fried onions and served with grits; Mary’s Chicken Salad Sandwich, a toasted hoagie filled with rich ricotta cheese and red pepper and Palmer’s rock’n Reuben Sandwich are notoriously popular! Expect a wait; the word on the street – “it doesn’t get any better than this”. Open for breakfast (served all day) and lunch with monthly themed dinners to be added to the mix by September. Reservations accepted for larger parties. Saltwater Cowboy – Good Down Home Island Grub…with a touch of the big city. Give me a great burger or serve up a juicy T-Bone steak, grilled tuna, low country boil …and, I am liv’n the St. Simons’ dream. Enjoy that extra cocktail, Saltwater Cowboy is just around the corner from the resort….so skip the car, relax and take carefree moonlit stroll back to your island sanctuary. Halyards – Fine Dining Far from Ordinary! Chef Owner, Dave Snyder excels in opening up his kitchen and the minds of guests to innovative cuisine that focuses on simple pleasures. His talent and generosity runneth over! Chef Snyder loves to share – his expertise, his recipes and his local finds. 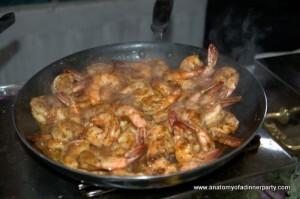 He seeks out only the best ingredients and harvests from the nearby coastal area whenever possible – local fish, shrimp and farm fresh products – to deliver an authentic regional dining experience. Halyard’s “Catch of the Day – Your Way” – Asian, Almondine or Nola/Cajun with a variety of sides – gives frequent diners a chance to mix it up and experiment. Or indulge in a mouth-watering favorite dish from the main menu – Almond Baked Trout, Braised Short Ribs, or opt for the Mustard Glazed Pork Chop. Whatever the entree, you will not be disappointed. But no meal would really be complete without a taste of Halyard’s Creamy Blue Crab Bisque; be forewarned, during the holidays faithful customers flock to the restaurant for carry out containers of the hearty homemade recipe – so it may be sold out! For a limited time, you can dine and save with Halyard’s fixed menu special – 3 for $33 -available most weeknights. Love Italian… then cross the courtyard to Tramici, Halyard’s sister restaurant next door. 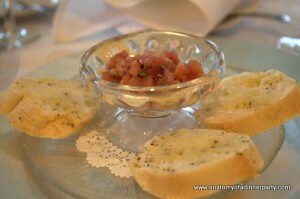 Expect the same great friendly service with casual Italian fare at affordable prices. So much to see and do! You will need more than a weekend to enjoy all that the island has to offer! 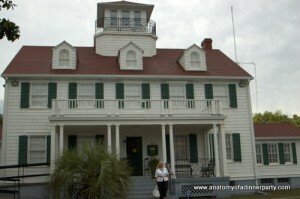 The Coast Guard Maritime Museum and Lighthouse. 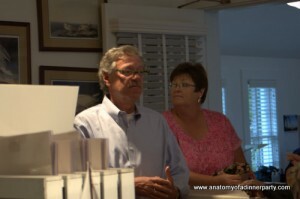 You will not want to miss St. Simons’ native historian, Mr. Curt Smith’s engaging and enlightening personal tour. A Trolley Tour c/o St. Simons Lighthouse Trolley. If you are lucky, a colorful narration awaits by trolley owner and island ex-commissioner, Cap Fendig, a charming southern gent with stories that could fill a lifetime. On the weekends, Cap offers a wonderful 90 minute river tour exploring the inland waters around the island where playful Dolphins and Alligators are often spotted. Each tour is a special adventure. An Island Bike Ride – 11+ miles of incredible natural beauty. Ocean Motion Surf Shop, just one block the resort’s entrance, offers affordable flexible rentals. Shopping on Mallery Street in the Village. Fabulous Fashionista Finds! Dancing and Drinks at The Village Pub, a fun local watering hole. Good music and good people that make for a GREAT time! Shrimp Boat Experience on the Lady Jane. A perfect way to spend an afternoon! Learn about the shrimp industry firsthand and discover the wonders of the coastal eco-system brimming with sea life from onboard marine experts – horseshoe crabs, turtles, fish, squid, shrimp and more. A fantastic family outing! 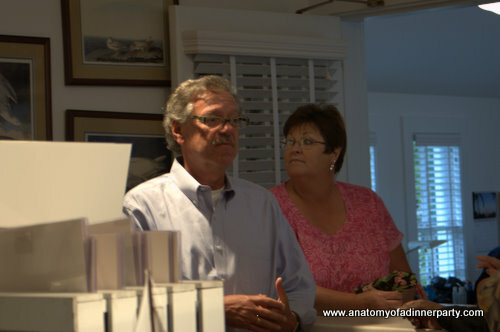 A visit to the Left Bank Art Gallery and an informal chat with owner and island icon, Millie Huie Wilcox. 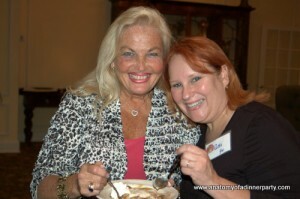 Relish every moment as Millie shares personal stories and intimate insights of the art and the island. A Chocolate or Cupcake Fix at St. Simons Sweets – a candy emporium of homemade treats, ice cream and confectionary delights. Sharon. the owner, tells me it is all about a special mother’s touch. 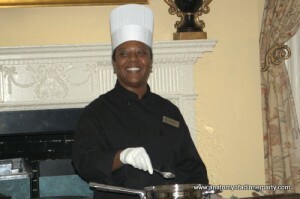 Her mom, Mary often acts as quality control in the kitchen while baking away behind the scenes daily to deliver decadent and delicious memories. Mom’s specialty Orange Cupcakes are outrageous…be sure to snag a few for the road trip home. Soak in the Sunshine with a morning jog or walk on the beach then lounge with a good book poolside at the King and Prince Resort. 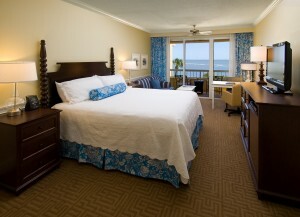 Sleep In with the balcony doors wide open welcoming a cool ocean breeze and the hypnotic sonata of the surf. It is hard resist the charm and beauty of the island. Visitors always seem to find their way back…bringing extended family and friends in tow. And then, of course, there are those lucky few…who come to vacation…fall in love…and simply choose to never leave. Whether for a day, a week or a lifetime, St. Simons will capture your heart! Before you go: You will not want to miss the Tango Diva Special Profile on the Island’s top rated oceanfront property,The King and Prince Beach & Golf Resort. For all your travel planning needs, visit the Brunswick-Golden Isles Tourism website or call 800-933-COAST. Patricia King’s article describes the King and Prince in great detail from its accommodations and dining to the relaxing amenities. 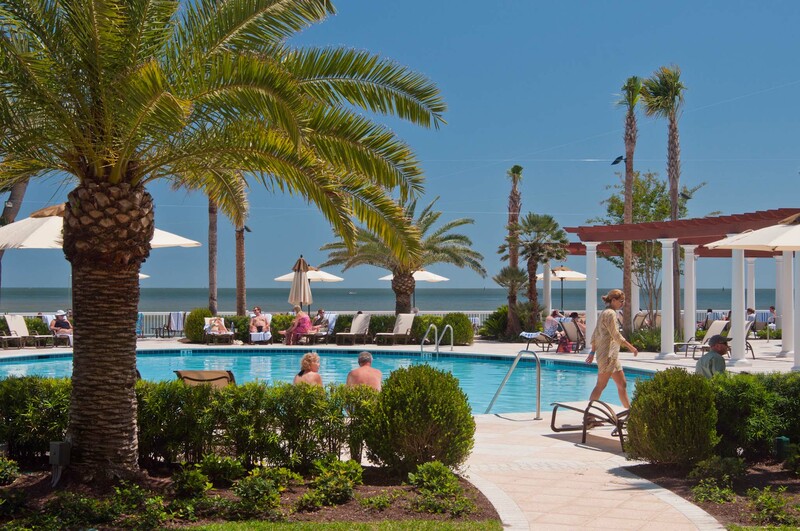 The historic King and Prince Beach & Golf Resort is the only luxury hotel on beautiful and charming St. Simons Island, GA, located 60 miles north of Jacksonville, FL; 65 miles south Savannah, GA. 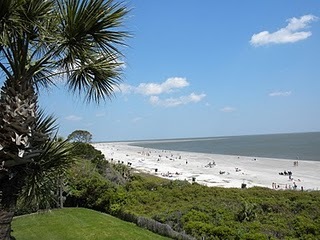 It is situated at the southeast end of St. Simons Island, where the island’s best beaches are. There’s so much going on at King and Prince that their activities merit a separate article. Now in its 76th year, the King and Prince is listed on the National Registry of Historic Places and a member of Historic Hotels of America. On arrival, we were greeted at a hotel reception desk and shown to our room. The room was spacious and very well furnished with a comfortablesofa, coffee table, a work desk with two chairs, a big flat-screen TV, a DVD player, a room safe and a bed, of course. The bathroom was huge and the toiletries provided were beautifully presented in environmentally friendly packaging. comfortable both for snacking and for being able to use our computers outside. The resort offers complimentary Wi-Fi throughout so this was very handy, as it enabled both of us to go online at the same time. For those who don’t take their own computers everywhere with them, the resort also provides a business center where guests can go online using the resort’s computers, which are equipped with printers in case you need to print anything out. During the check-in process we were given an attractive map of the resort to help us get oriented. As well as the guest accommodation, there are several public areas for guests to eat, drink, and play, or just sit quietly enjoying the superb views of the white sandy beach facing the Atlantic Ocean. Resort Guest Rooms: Located in the historic buildings with ocean, partial ocean or resort views, the resort’s most economically-priced guest rooms offer one king or two queen beds, yet offer the luxurious décor. Beach Villas and Guesthouses: These two- and three-bedroom villas offer a patio or balcony with either an ocean front or partial ocean view, combining living and dining room and a fully equipped kitchen with place settings for eight. Both the North and South Villas include their own pools and separate gated parking areas. Resort Residences: The King and Prince presents these seven gracious Guest Homes, each with its own highly unique ambiance and features. The resort has three swimming pools: A heated indoor pool and hot tub, and two outdoor pools. The historic Delegal Room, famed for its stunning stained glass window murals and ocean vistas, hosts the resort’s “Southern Charm Sunday Brunch” as well as the Legendary Friday Night Seafood Buffet and other holiday buffets. Paradise Beach Bar and Grill Open daily at 11:00 a.m. March through October weather permitting. This is where island time truly begins and where food and fun become one. This is ocean front dining at its best. Enjoy an ultra-casual lunch with a wide variety of choices, as well as their signature cocktails like the King & Prince Lifesaver or the Confusion in Paradise. 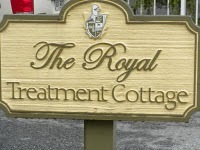 For those who like being pampered there is the award-winning Royal Treatment Cottage, which offers a wide variety of treatments. Most of the treatments are derived from traditional Eastern traditions dating back thousands of years and given a contemporary take. You can choose from the custom cottage, Swedish, therapeutic or sports-specific treatment, as well as reflexology and aromatherapy. The setting is an historic beach cottage on the resort grounds just steps from the sands and seabreezes of the Atlantic. Here an intimate seaside retreat has been created where the utmost attention is given to experiences that soothe and treatments that rejuvenate. The front porch with its comfy chaises invite you into the calming atmosphere inside where the casual warmth and refreshing decor of a quaint beach cottage are right at home with its indulgent and therapeutic elements. A fireside relaxation lounge, changing cabanas and quiet treatment rooms all ensure a tranquil experience. And while at The Royal Treatment Cottage for their treatments, guests enjoy the use of robes, sandles and totes for personal belongings. Complimentary bottled water is provided with juices and teas available. As you can see, the resort has everything for those seeking tranquility and, as you’ll also see from my next articles about leisure activities and dining at the King and Prince, there’s lots to do. 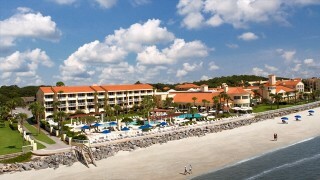 However, it’s worth a mention that the resort does not only cater to vacationers. You can also do business in this amazing environment. There is more than 10, 000 sq. ft. of ocean front meeting, conference and function space, with premier catering, wedding, and special event services. The Sydney Lanier Ballroom can accommodate 70 to 350 people and offers teleconferencing, as well as state-of-the-art audio and video facilities. Finally, it’s definitely worth mentioning the staff. The staff was truly excellent. They did everything they could to ensure the comfort of their guests, and I really couldn’t praise them highly enough. I had spent four days at the King and Prince Beach and Golf Resort in St. Simons Island, GA, fine dining at a fantastic hotel restaurants, touring the island and making new friends with the local residents I met in the village. My nights were spent in the newly renovated room cushioned in a king-sized bed in the resort’s Oceanfront Building featuring dramatic floor-to-ceiling windows and a balcony overlooking the resort’s pools and the Atlantic Ocean. On this last day I sat alone on the steps leading to the beach on the shore of the Atlantic Ocean. In the pre-dawn darkness, a cup of coffee in hand, I anxiously waited to greet the day. The clear, starry sky had whispers of clouds. The air was absolutely silent, but filled with the salty smell of the sea. The deep purple night gradually gave way to shades of red. Day was at last beginning. As the sun rose, the first sight was the arc of yellow shimmered on the ocean like an impressionist’s painting. Sea birds and people seemed to show up at the same time. I caught sight of baby dolphins coming up for air as they made their way out to sea with the ebbing tides. Flocks of geese made their way north in their famous v-formations. It was the perfect end to a perfect vacation. All in all, if you’re planning a luxury holiday in the Georgia Sea Islands I suggest you look a bit further than the usual well-known haunts and give St. Simons a try. And if you do decide to visit St. Simons, then where better to stay than the King and Prince Resort?